Sure, sugar is in ice cream and cookies, but what scared Eve Schaub was the secret world of sugar--hidden in bacon, crackers, salad dressing, pasta sauce, chicken broth, and baby food. Along the way, Eve uncovered the real costs of our sugar-heavy American diet--including diabetes, obesity, and increased incidences of health problems such as heart disease and cancer. 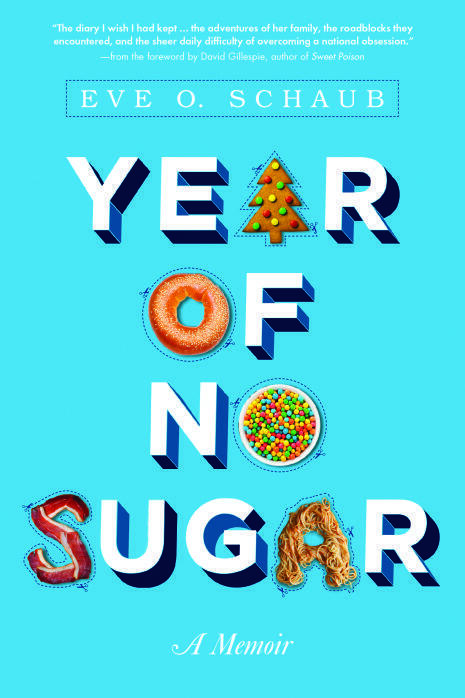 Eve Schaub’s new book is Year of No Sugar. We all want to look and feel better, and One Simple Change shows us how. In this wellness guide, Healthy Green Kitchen blogger Winnie Abramson compiles 50 small changes that readers can easily make to improve their everyday well-being. Abramson—who has a doctorate in naturopathic medicine—throws fad diets out the door in favor of age-old culinary wisdom, green living tips, cutting-edge nutrition information, and 15 simple and easy recipes. "Making Habits, Breaking Habits: Why We Do Things, Why We Don't, and How to Make Any Change Stick"
It's that time of year again when millions of Americans vow to create good habits and break bad ones. We welcome Jeremy Dean, the psychologist behind PsyBlog, to explain why it is so difficult to modify our behavior -- and to stick with the change. His book is called Making Habits, Breaking Habits: Why We Do Things, Why We Don't, and How to Make Any Change Stick. Question of the Day - Weight Control?